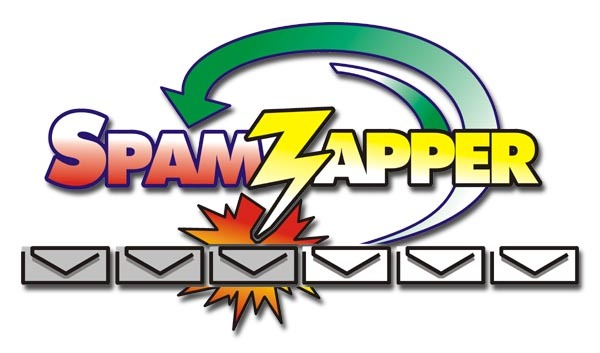 SpamZapper can be immediately deployed on our Facilities to provide immediate relief of Email Filtering and congestion. Our cost effective pricing is based on number of physical accounts, and the duration of the contract. SpamZapper can also be installed in your facilitiy, making the operation completely in-house. This provide a Secure Email Facility (safe from Intrusion) for you and your customers. Both configurations are easily maintained and updated by our qualified staff, making SpamZapper maintenance free for you. We have installed our SPAM Zapper Tools in ISPs Servicing thousands. Our Administration tools make Hosting and Virtual domain support simple. Our Scanning and Filtering solutions make your Email Reliable, Secure and Dependable. Intrusion Prevention stops the probing, and eliminates hostile take-overs (hackers). During the recent Internet Storms, our servers remained on-line and active. Our Customers did not get any of the viruses, and enjoyed the benefits of Filtered Email. All development around your Company's needs. We are Certified Auditors, Security Professionals, as well as being Certified in Homeland Security. Our Graphs make displaying the Server Status easy to read. The next time you wonder if your customers are abusing their service agreement, or wonder if your access lists need adjusting, you'll know Who, When, and How Many. Don't guess, get results. Instead of wondering why your Company has made the latest DSBL (Distributed Server Boycott List), you'll know who is sending what amount of Email, and be able to determine at what level. You will not have to worry about your customer's Emails being blocked again! Your customers will notice the difference as soon as you start using the SpamZapper. Our customers sure do! We give you the tools and the data to set your business apart. We have solutions for 20 and up! BlackListed? In a Relay Block Listing? Listed as a Spam Generator? The SPAM Zapper Products make use of several Block Lists. While we are not a Block Listing Service, we can assist you in getting Unlisted. We are frequently called with Requests to get their Company's Domain or Mail boxes off a Block Listing, or Close their Open Relays, which we routinely do for Company's on a billable basis. Please feel free to contact us at Blocklisted@ABS-CompTech.com, or you can call us at the number below and we will be happy to assist you during normal business hours. We can integrate any number of Anti-Virus Scanners to suit your needs. We typically deploy at least two different Virus Scanning Applications to implement our desire to be Redundant and Reliable. Most of the time, at least one of them is an Open Source (GPL) Licensed Tool. We update our Scanners automatically, every hour. The next time you are asked by the Management Team about how the Virus Scanners are operating, you can send them a copy of the reporting Graph. As you can clearly see, we have eliminated the communications with the sender of this Worm/Gibe.B.3. All of this is easy to deploy, and can be managed remotely. We survived the the Blaster and DCOM Attacks. Did your Mail Servers require an update to perform the same functions? Redundant, Reliable and Cost effective. Finding the Source of Spam could indicate problems within your own network. Does your ISP have a policy for introducing Spam Laden PCs on your Network? It should. We hav e have tools which can be implemented to automatically scan your customers to identify problems. This Graph shows how some SPAM is distributed on the net. "Our company was the owner of a local ISP for six years. ABS Computer Technology, Inc. (using early development of the Spam Zapper), was retained by us in 2002 when 'Junk Mail' was beginning to cause us and our customers distress. I was extremely pleased with the service we received and I highly recommend ABS Computer Technology, Inc. for effective and reliable Virus Rejection and Spam Filtering for ISPs and for individuals."